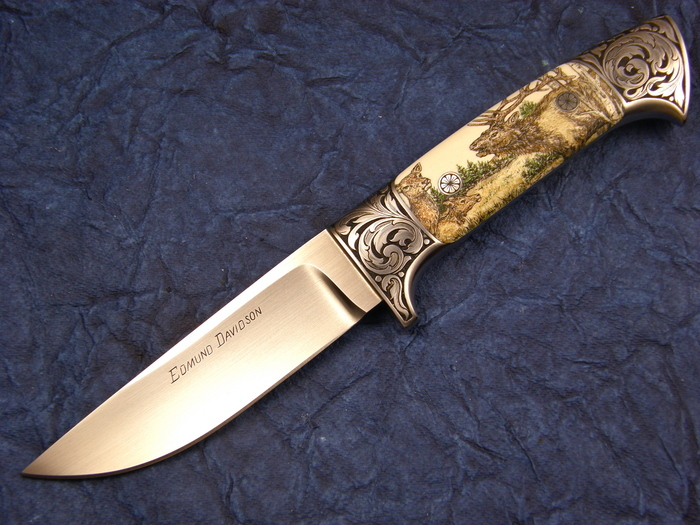 A beautiful, Full integral Drop Point by knife-maker Edmund Davidson. 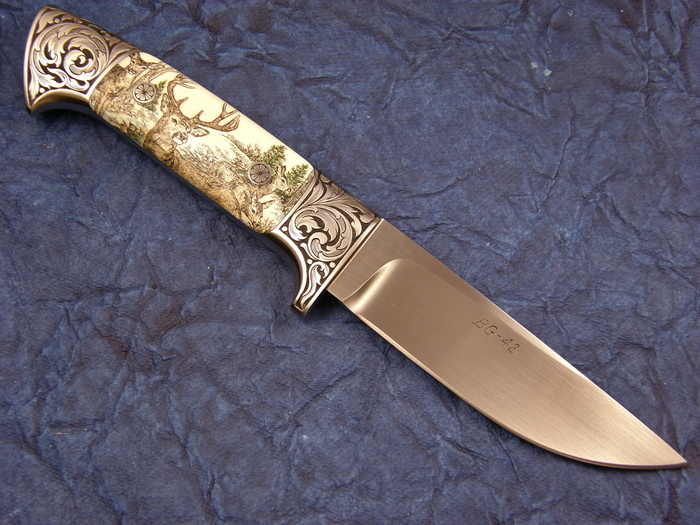 This piece has been nicely engraved by Jere Davidson and Scrimmed by Linda Karst Stone. Talk about going all out!